Termites are without a doubt a significant threat that homeowners face. According to the National Pest Management Association, these insects are responsible for billions of dollars in property damage in the US alone every single year. One of the main reasons the damage is so profound is that during the cold winter months, most homeowners halt all their termite prevention activities simply because they do not see any termites in their homes. But just because you don’t see them doesn’t mean that they do not exist in your home. 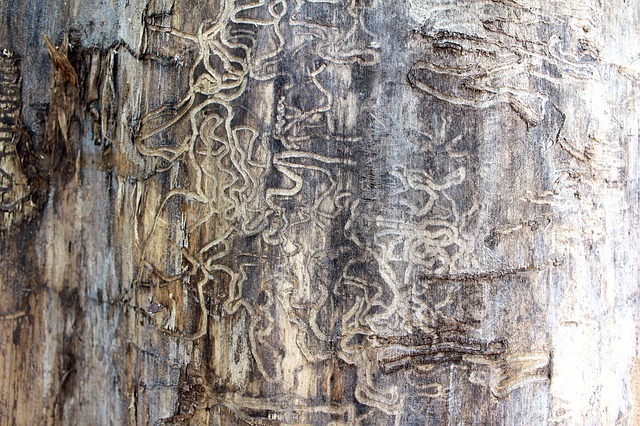 While termites are generally hard insects to locate, winter makes them even harder to find. Unlike the popular belief, termites do not hibernate during winter. They continue to infest your home, feed and work all winter long in basements while others crawl spaces that are a little warmer and easier for them to reach. Heated homes provide a conducive environment for termites during winter, allowing them to continue with their regular activities throughout the season. During this period, they tend to stay in the foundations, walls, and soil around the house to keep warm while continuing with tunneling and causing massive structural damage discreetly. However, they do not stray as far during the winter, but stay close to the protection of their colony. • Small mounds of earth on the skirting boards and stairs or under damp spaces like baths and skins. The best way to know if you have a termite infestation in your home is to have it inspected by a professional termite control company. A termite exterminator can not only determine if you have termites, but if you do they can eliminate them, clean up any associated debris and damage, repair the damage, set barriers to prevent their return, and most importantly set you up on a plan of ongoing maintenance and monitoring to ensure that if they do return, they are quickly detected and exterminated. Termites infest structures by accessing vulnerable wooded areas from the outside. They build intricate networks of tunnels underground until they reach your home. Once they find the wood, they dedicate all their resources towards stripping it out of cellulose for food. As they move further into the building to access more food, they create tunnels in the woods, making the structure weak. The only way a termite can access your home during winter is through getting access to a wooden structure without getting exposed to the cold. Exploratory tubes enable them to achieve this from their existing colonies. These tactics will go a long way in keeping termites from infesting your home during winter and work by depriving the insects a way of getting food. Also, note that they are attracted to wood that is wet, moist or in humid places. Reducing moisture and humidity in vulnerable locations by repairing leaks, dehumidifying and patching drafts will help reduce humidity and moisture buildup. Make sure the gutters, downspouts, and the sump pumps drain all the moisture away from your property correctly. Winter provides one of the best times to implement termite treatments because their activities and locations are much more predictable. For instance, if you are looking to use baiting systems, a strategically placed bait is more likely to be discovered by termites during winter than in the summer months. Summer months allow termites to forage further away from their colonies and give them a greater abundance of food. Winter also provides an excellent time for experienced pest control companies to design and implement effective, multi-pronged treatment plans. If you happen to notice signs or a termite infestation during winter, do not wait the season out as it will allow for a more widespread damaged.